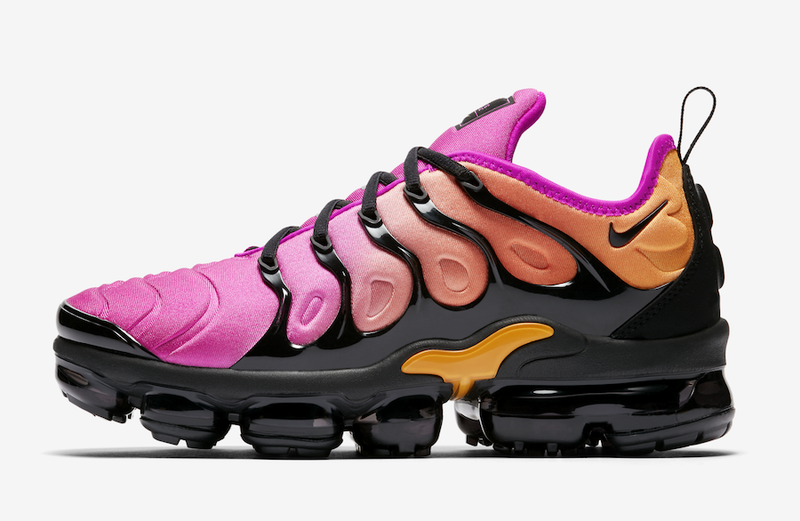 The Nike Air VaporMax Plus lineup has been a huge hit this year. 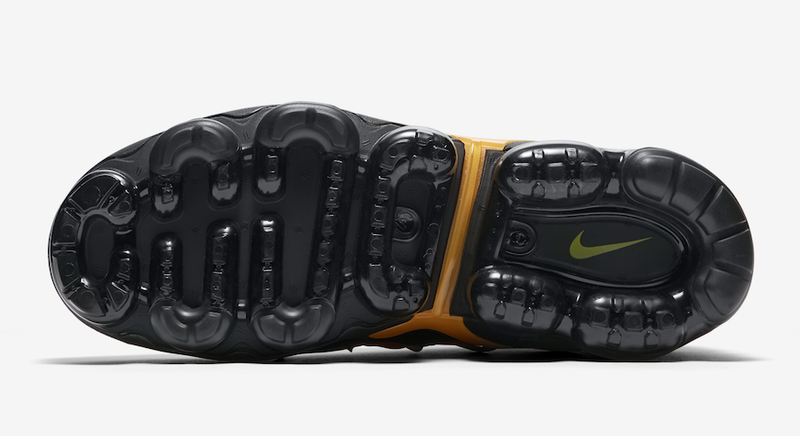 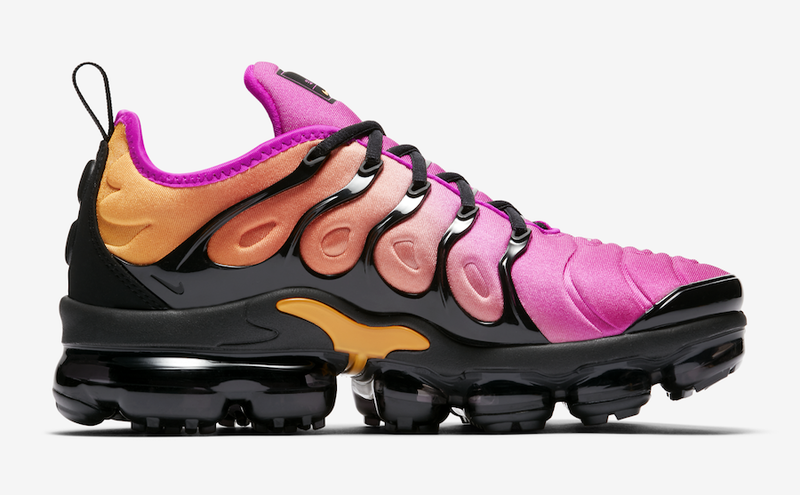 The newly designed silhouette combines an Air Max Plus upper with a VaporMax sole unit. 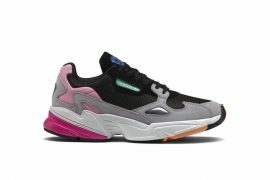 If you missed out on the past two women exclusive colorways; “Bleached Aqua” and “Hyper Violet”, don’t worry Nike has yet another sun inspired hue coming for the CHX. 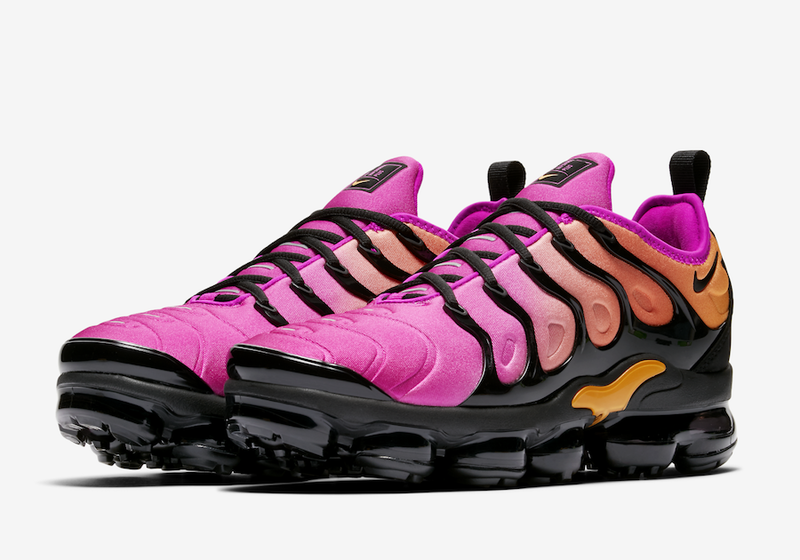 The Nike Air VaporMax Plus “Fuchsia Blast” comes in a gradient fade of Fuchsia Blast, Rush Coral, and Orange paired with a black cage overlay and a matching black VaporMax sole with 3M reflective hits. 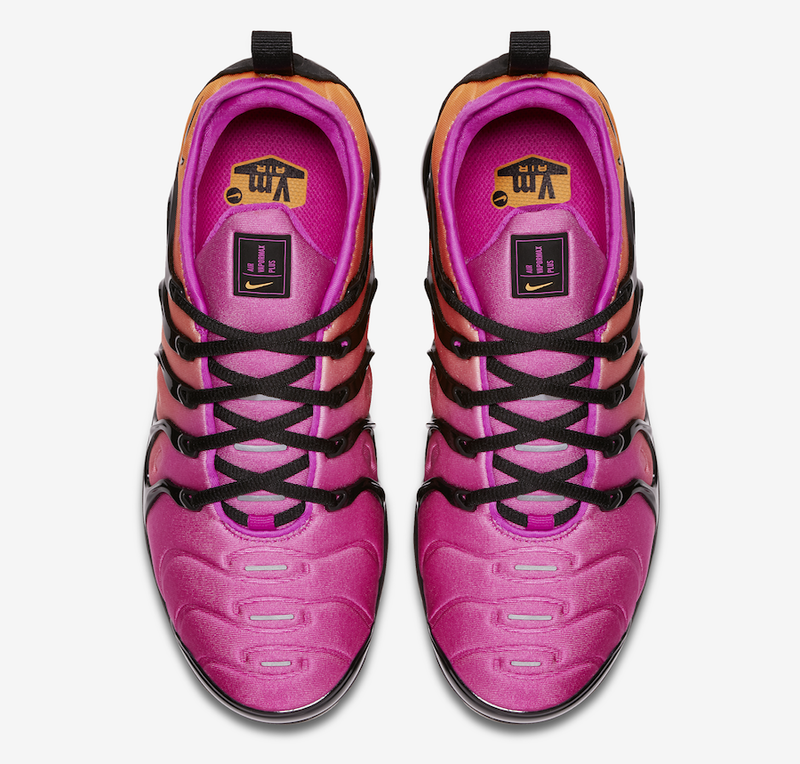 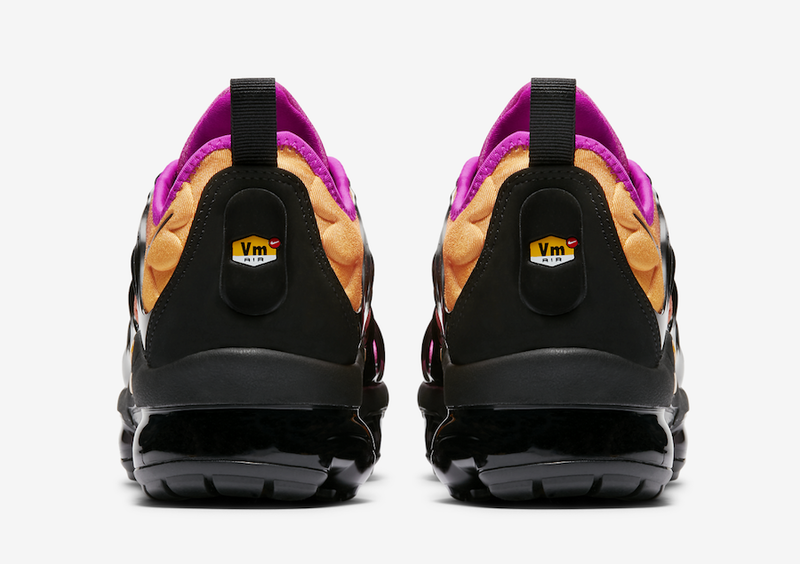 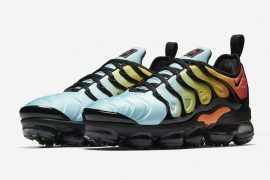 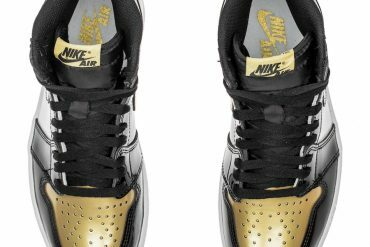 Expect this new multicolor design to arrive on April 26th for the ladies at select Nike retailers such as footlocker.com for a retail price tag of $190 USD.